The good folks at MyScienceProject.org have done the research to make sure that daddy is a hero when it comes to selecting the right container for collecting the ultimate sugar haul on Halloween (because we all know the one who dies with the most candy wins). These highly educated sugarologists have done the computations and calculations to figure out that a five gallon bucket can hold 675 pieces of candy and will weigh up to 20 lbs when full. And for those old school trick or treaters looking to score the motherlode they have projected that the good ol' pillowcase will bring in 1,690 pieces weighing up to 47 lbs. 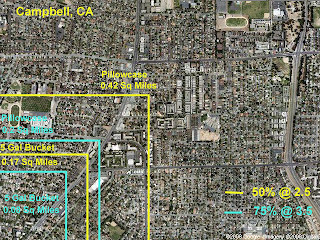 MyScienceProject.org also details how many houses to hit in order to fill each different container to the brim complete with square mile calculations for the average suburban neighborhood. 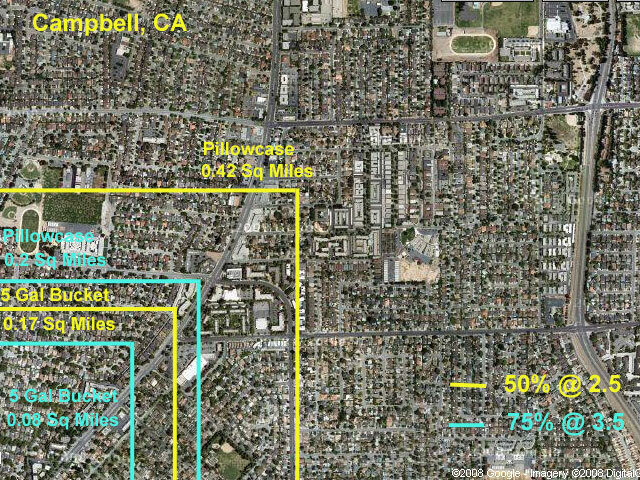 As well as provide insight into selecting the properly inhabited neighborhood. Check out the details here. TIP: Start training now with a 10 lb bag for a mile and work yourself up to 47 lbs over the coarse of 11 miles. But don't worry, you can ride a sugar buzz the whole way. So what are you planning to give the kids to capture their candy cache this year? A standard plastic pumpkin? Are you trying to be pillowsack worthy? Or what about taking it to the next level and just bring a wheelbarrow? Let us know.